When you need a custom master key lock system Toronto design, come to us. Let our locksmith take the extra step in order to help you with such projects. 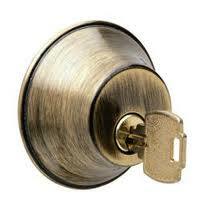 We have been in this business many years and are aware of the importance of master locks. Since our company is only working with experienced technicians, you can be sure of the quality of the service. You can contact FC Locksmith whether you are interested in expanding the existing system or installing a new one. It’s really important to have the ideal apt building master key system. Not al l buildings are the same or have the same requirements. You might only want one single master key for the super. But you might also want two master keys – one for the owner and one for the maintenance person. There are always different levels of structure when it comes to master key lock system planning and installation. It depends on each building’s needs. The intention is to have the right master keys for a specific number of doors and of course the change keys for the tenants. Such systems offer great convenience since managers and superintendents don’t have to carry multiple keys with them. They also gain access to apartments should there is a leak or another emergency. The same convenience comes with a tailored office master key system. With the right design, you have a system that works for you and still offers the expected level of security. Since you can plan your system the way you want it, you have as many master keys as you want. Such systems are versatile and easy to handle with the help of a professional locksmith. Choose us. Let our locksmith in Toronto, Ontario, handle such needs and provide you with the assurance that your new system will be installed correctly. We are at your disposal to rekey a door lock, expand the existing master key lock system in Toronto, or install a new one. Get in touch with us if you like further information or to make an appointment.